In this program students recieve instruction to attain a better knowledge of what they learn i the classroom. Students recieve instruction and help with 6th grade math, pre-algebra, history, science, English, and language arts. Also students get test preparations in all subjects, and recieve homework help as well as project help. In ACE’s General English program, We provide basic skills and enable students to express their thoughts on paper. Vocabulary Skills are taught to broaden students’ knowledge of the English language and give variety to their writing. At ACE Academy, We offer tutoring for all levels of math from middle school to high school. We have tutors that are proficient in pre-algebra, algebra 1, geometry, algebra II, Trigonometry, Precalculous, calculous, and statistics. In addition, we also offer programs that will hep students prepare for placement. vocabulary development, deeper content knowledge, homework help, and project assistance. Test preparation is through and takes place over many days if necessary. English language aquisition is also develped and aided as well. We provide basic skills which enable students to express their thoughts on paper. We tutor for all levels of math from Elementary level to high school level. We have tutors who are proficient in pre-algebra, algebra 1, geometry, algebra II, Trigonometry, Pre Calculus, calculus, and statistics. In addition, we also offer programs that will help students prepare for placement tests. 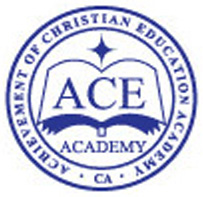 Ace Academy offers Oxford Prep. that focuses on reading comprehension, grammar, writing and Math. Weekly tests are administered based on what has been lectured in the classroom. Essay prompts are written on Fridays. Ace has dedicated teachers who take pleasure enriching the lives of their students. Ace Academy’s Korean Class helps students to learn the composition and practical application of the Korean Language. Based upon the skill level of the student, an effective plan is put into action to improve the knowledge of each student. Korean class is not only advantageous and valuable, but also a time of enjoyment. The hard work of the Korean Class staff ensures that every student enrolled in Korean Class will be put on the path to mastery of Korean. Schedule may vary according to student’s level. ACE Chinese class helps children learn Chinese while playing games and discussing topics. We develop a personalized study plan for kids learning Chinese based on each child’s learning style and pace. We teach kids practical skills (e.g., Chinese speaking skills) that can be most useful for everyday life. Moreover, we offer a variety of interesting topics that make learning Chinese for kids effective and fun. Playing piano has a big influence on children’s brain and emotional development. In addition, music allows children to express themselves artistically. Our lessons include technique, exercise, music reading skills (theory), and study of specific songs (including hymm). Ace Academy’s Piano Class will help students to become proficient in piano and appreciate music and art. Children are resourceful, curious, competent, imaginative, and creative. An art environment supports children in developing these needs. Children can thereby create meaning and make sense of their world through learning art. Our art class is fun, and use different materials and themes on each art project. In addition, we emphasize to focus each child’s uniqueness. Teaching children to read helps them develop their language skills, listening skills, and expressing themselves in any area of life. Reading develops the imagination of children which opens their minds to gain wisdom and intelligence. ACE Book Club helps children to develop their reading habits, discussion skills, and analysis. Ace Academy offers private/small group settings for all the AP courses.